Recently I waxed poetic about my love for the game of baseball when I revisited and reviewed the classic film Field of Dreams, and as we are only a week into the season the magic isn't even done washing over me yet. Therefore it was a safe bet that the Oscar nominated picture Moneyball would be a breezy, delicious watch for me, not only because of my love of the game but also because of my fascination with the way it is approached behind the scenes over the past 10-15 years. See, when I watch baseball it isn't merely a 3 hour television event involving athletes that I can switch off as soon as the final pitch is thrown. No, I want to know everything. I want to understand what the scouts are scouting. I want to know how the finances are broken down in a contract. I want to be a fly on the wall when two teams are negotiating a franchise changing trade. So the fact that a piece of Hollywood entertainment deemed excellent by critics and audiences alike was essentially about those very things, both the business and baseball decision making aspects of my favorite sport, it seemed like a movie that would give me a lot to chew on. What I wondered, however, is how the material would be handled to appeal to everyone, even those who know little to nothing about the game itself. Luckily, my initial fear of it being a far too simplistic pill to swallow was instantly alleviated when I learned that the screenplay was co-written by Steve Zaillian and Aaron Sorkin, two names that I associate with challenging me with their words rather than keeping it too simple. Sure enough, the screenplay was one of the finest aspects of Moneyball, as it perfectly revolved around the game of baseball without being bogged down by any urge to pander to people like me. Despite being one myself, I recognize that crafting a film only to appeal to fans is not the best approach to filmmaking, and Moneyball can be appreciated even if you have never watched a single inning in your life. Despite being a not so exciting premise on paper, the tight, focused direction by now multiple Oscar nominee Bennett Miller and the shockingly gorgeous cinematography from Wally Pfister come together to create a world that anyone watching instantly wants to live in. Brad Pitt has been in a lot of great movies over the course of his career but I honestly don't know if he has ever been this on point before, as his turn as famed Oakland A's General Manager Billy Beane is perfectly powerful and yet equally subtle. 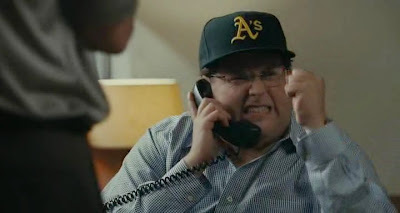 Despite being familiar with the real Beane for many, many years now, I felt as if I was watching the real thing in action throughout Moneyball rather than an A list actor pretending to be him. Jonah Hill is a strong supporting piece here, although I will be honest, I am not sure if he was truly worthy of an Oscar nomination for the role. I can't help but wonder if he benefited from a sort of shock factor with voters because he was associated with being merely a comedic actor that belongs alongside Seth Rogen and then all the sudden, there he is, a vital piece in an excellent dramatic feature. Also terrific and surprisingly underutilized is the late, brilliant Philip Seymour Hoffman. It was strange witnessing a man that I consider to be the greatest actor of a generation be such a limited factor in a great film, but at the same time I'm not sure I would change a thing to squeeze him into more scenes. The pacing of Moneyball is essentially perfect throughout just the way it is. 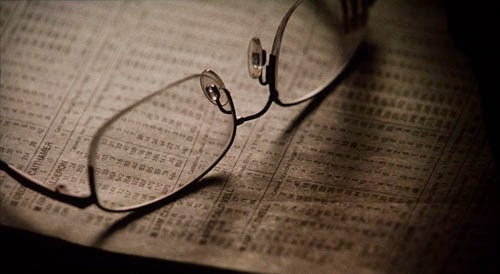 Yes, Moneyball is very much about the way baseball has changed thanks to the usage of advanced analytics as a way of replacing the old school methods of scouting players and teams, but it is also a strong character study about the life of a man who is petrified of repeating the failures of his past. Some of the best moments of the film are when the frame is shared by Billy Beane and his daughter, especially a sequence that takes place in a music store when a father just wants to hear his little girl sing. 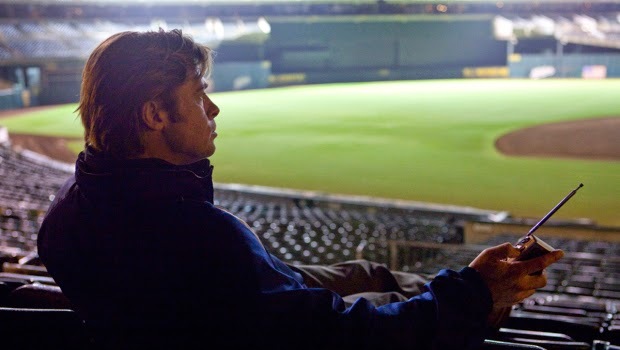 At the end of the day though, Moneyball does celebrate the romantic relationship a fan has with the beautiful game of baseball, and it did so with eloquence and honesty rather than forced sentimentality and manipulation. This is quite the film, one I know I will turn to again and again each year when I smell the way the world comes alive outside after a cold winter ends and I start craving the roar of the crowd and the crack of the bat all over again.